International Women’s Day is the global celebration of the social, economic, cultural and political achievements of women. The day marks a call to action for increasing gender equality. Over a third of our race crew on average are female and we continue to encourage this percentage to increase. All crew have to complete the same four world class intensive training levels and pass disregarding of gender, age and sailing ability. Be Bold For Change is the theme behind this year’s campaign and being bold is an integral part of signing up to take part in the world’s longest yacht race. On International Women’s Day 2017 we look back at the global impact the race, crew and our partners have had. We meet Sandra Squire, one of our intrepid 2017-18 crew and a mother of two, preparing to take on the adventure of a lifetime, on what the day means to her, and recognise an alumnus crew member who is aiming to be the first female to circumnavigate Antarctica. “There are a lot of expectations of women, especially when you have children, so it's nice to be able to push those barriers and challenge those expectations,” says Sandra Squire, mum of two boys and Borough Councillor of King's Lynn & West Norfolk, who is currently training to take part in Leg 8 of the 2017-18 Race. Sandra says she is hoping to take some of the teamwork skills she learns by taking part in the race back to council to improve how colleagues work together to make a difference to the local area. Sandra adds: “International Women's Day is so important to raise awareness of women's issues worldwide. I've been incredibly lucky to have had access to the education, healthcare and opportunities available to me in this country. If I want to stand for Parliament, I can do so. If I want to take part in a yacht race, I can do that." One alumnus crew member who is definitely being Bold for Change is Australian Lisa Blair. 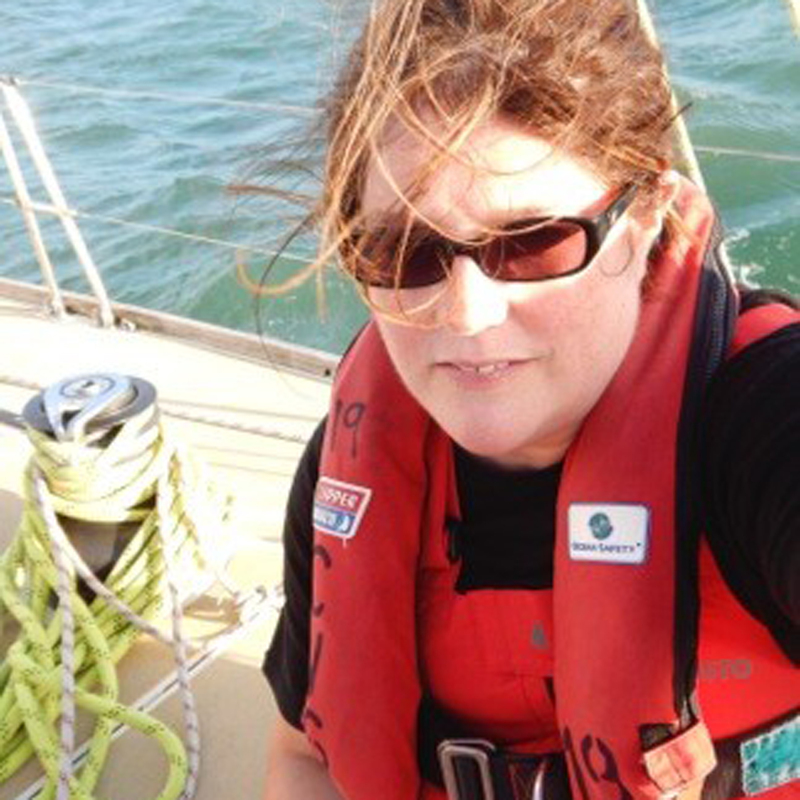 Lisa circumnavigated during the Clipper 2011-12 Race on board Gold Coast Australia and is currently about to round Cape Horn on her voyage to be the first female to circumnavigate Antarctica solo on board Climate Change Now. Once completed Lisa will be only the third person in history to achieve such a challenge and she aims to promote positive climate action, small changes to reduce our impact on our climate, by completing this incredible feat. You can find out more about Lisa, track her progress and keep up to date with her challenge on her website here. This time last year the tenth edition race was in China awaiting arrivals into Qingdao. Whilst there the races global platform was used to promote the benefits of gender equality teaming up with the British Embassy for its month-long International Women’s Day campaign in China, Be Yourself. Crew and Skipper from Team GREAT Britain, Head of Sales in Asia from LMAX Exchange and a Qingdao team ambassador joined a panel to discuss gender equality in high performing teams. The campaign was designed to celebrate women’s ability to achieve whatever they want to achieve, with the aim to empower women to reach their full potential, challenge the stereotypes that persist about gender roles - as well as raise awareness of the benefits of gender equality in society and female participation in the workforce. We look forward to meeting and championing more of the incredible women taking part in this year’s race. If you would like to be one of them, you still could be. We have limited opportunities to join the Clipper 2017-18 Race click here to apply.